You can send and receive SMS text messages with your Telzio phone service through the mobile app and through your browser on the website. In this article, you’ll learn how to use SMS with your Telzio service. You need at least one phone number on your account to send and receive text messages with Telzio. Learn more about Getting Numbers and Porting Numbers. You’ll need to create a User for your phone system to send text messages. Learn more about Users. Telzio currently supports SMS for all local US numbers and some international phone numbers. To see if we support SMS for your phone number, please contact us. You can create a plan with bundled SMS minutes that can be shared across multiple phone numbers and users. Learn more about Telzio plans. When we talk about SMS, we use some terminology that you should familiarize yourself with before you get started. A user on your phone system that enables employees to send and receive text messages. 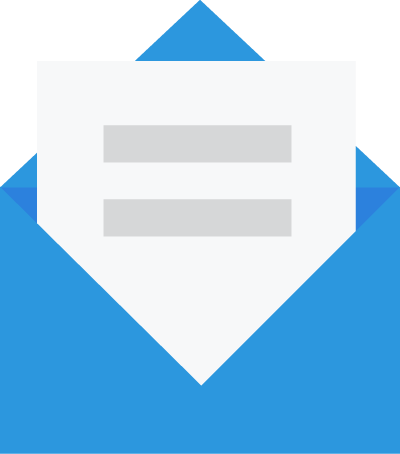 Destination refers to the email, User, or Group where you route incoming text messages. A conversation or exchange of text messages sent and received on your number. 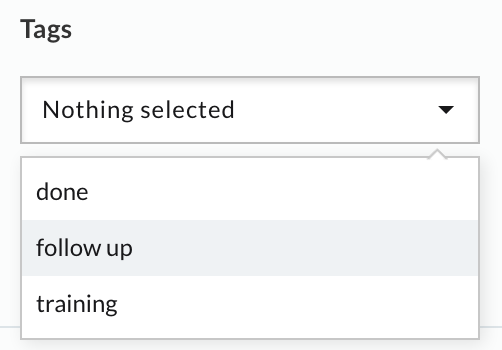 Tags are filters used across your organization to quickly categorize and notate items. For example, commonly used Tags include “follow up”, “completed”, and “training”. Here are steps to help you get started with configuring and managing your SMS service. With Telzio SMS, you can pay-as-you-go per message or add bundled SMS to your plan to save on costs. To add included text messages to your plan, follow these steps. Navigate to your Plans and Numbers page. Click on the phone number or plan to view and edit its settings. Move the cursor to add the total number of outbound text messages needed per month. Inbound text messages are currently included with all Telzio plans. Review the new total monthly plan cost and click Next. Click Update Plan to confirm the changes. You now have included text messages on your plan, and you can come back to edit your plan anytime if you need more or less messages. 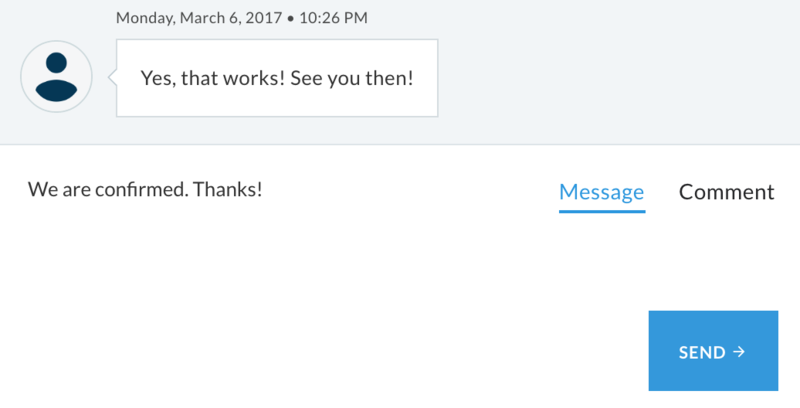 You can route incoming text messages to employees, email, or an entire department. We call this route the Inbound SMS Destination. 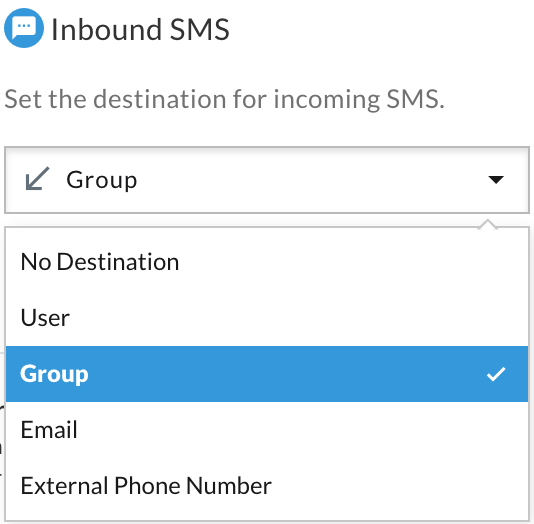 To configure your inbound SMS destination, follow these steps. 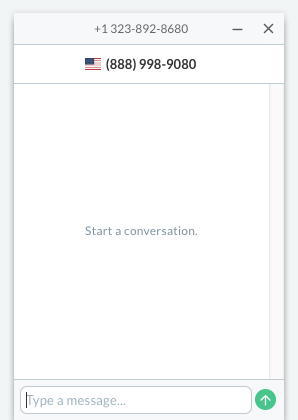 Click on the phone number to edit its Inbound SMS Destination. Select a Destination to route incoming text messages. Specify the User, Group, Email, or Phone Number in the following field provided. You’ll now receive incoming text messages to your selected Destination, and you can come back anytime to edit these settings. Users can send text messages from the Dashboard, the mobile app, and some IP phones. To send a text message through the Dashboard, follow these steps. 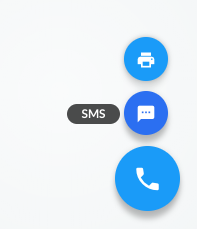 Hover over the expandable phone icon in the bottom right corner of the page to reveal SMS, then click on the SMS icon. Notice the new SMS window appear in the bottom right corner of the page. 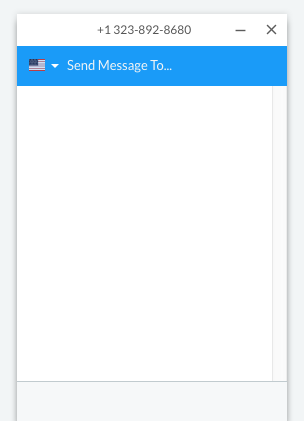 Enter the phone number where you want to send a message, and type your message to the recipient in the provided fields. Click the green arrow to send when you’re ready to deliver the text message. After the text is sent, you can find it on the SMS page. You can view and respond to text messages on the Dashboard, the mobile app, and some IP phones. To manage SMS on your Dashboard, follow these steps. Navigate to the SMS page where you’ll find a list of all your text messages. Click on a message to view its thread. Type a message in the field provided to send a response. To add a note to the thread for internal use, click on Comment, and type your comment in the field provided. Click Comment to add the comment. Comments can only be viewed by other Users who have access to this thread. To add a Tag to a message, navigate to the right side of the page and click Edit Tags to select from the options in the drop down list. Account Administrators can manage Tags from the Account Settings page. To delete an SMS conversation, click on Delete Thread.